This history of the gaming chair begins with the racing games where an actual driving of sports car was tried to be replicated. This is the reason most of the gaming chairs are like a car seat with higher backrests, additional padding and flared out sides. Pushing further they have added side backrest with slightly inwardly curved. Among the popular brands Gamdias & DXRacer are the most prominent to produce best gaming chairs in the market. 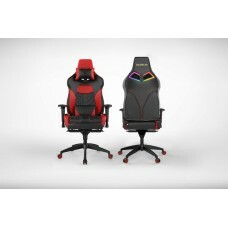 An innovation to the world of gaming accessories is specially designed chair for smooth gaming experience. Presently the video game players are seeking of comfortable gaming posture for longer gaming sessions. 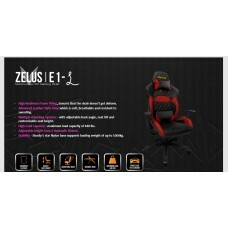 Targeting this Gamdias achilles series ergonomically design a gaming chair for the professional gamers with breathable leather, customizable RGB streaming lighting and higher comfort while gaming. 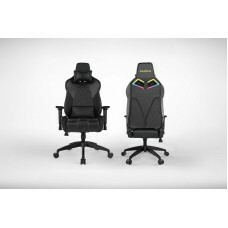 These chairs are perfectly built for PC, PS4 gaming with additional features such as sporty padding and speakers. Considering the comfort, you can use as office chair available at best price at Star Tech. Enrich your gaming setup with an exclusive chair purchasing through online or with EMI facility. 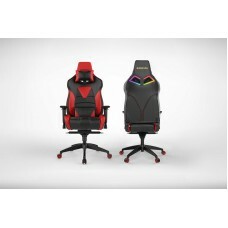 You can check the reviews before purchasing Gamdias gaming chairs. Our online delivery can cover all over the country including Rangpur, Dhaka, Chattagram, Khulna & Sylhet.